Microsoft launched Office Live Workspace on 10th December as an answer to Google Docs, Zoho and the recent Live Documents (coverage). 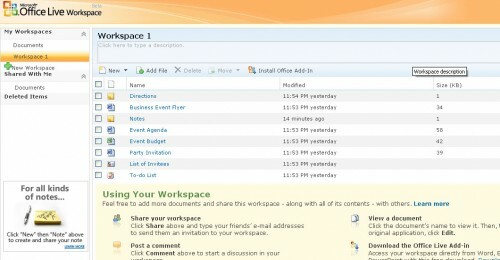 Office Live Workspace is not a complete online office, it is just like a space for sharing your documents online. I am testing currently the service, although it is not a full pledged office suite like Zoho or Google Docs but its cool. While creating workspace you can select the type of workspace you want, based on what type you select you get the templates for that workspace. For example if you select “Event Workspace” you get an invitation, flyer, agenda, attendee list, budget spreadsheet, to-do list etc. There are 11 workspaces available ranging from Events, home to travel or right away start from a blank workspace. Word files and spreadsheets you can only open and see the content but there is no editing, you need to download a plugin from Microsoft and install as add-on to your MS Office (on your desktop) then you can edit them in Word or Excel (desktop) and when you close these files the changes will be automatically synced to the online version of the file. Web notes can be edited online but this is not useful much. 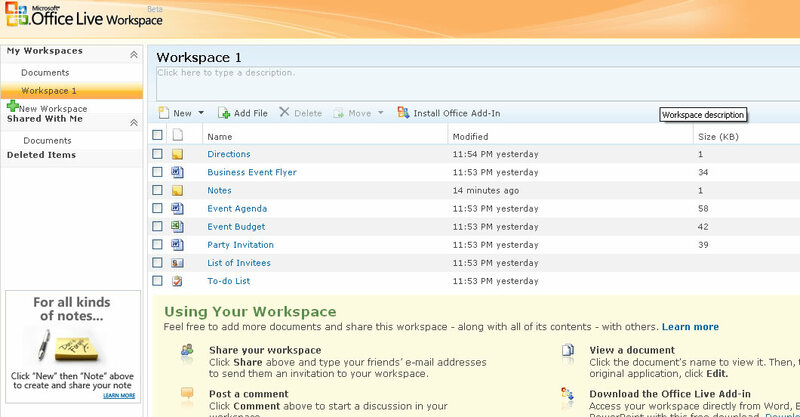 Live Workspace can be shared with your friends or colleagues by entering their email addresses. You can select who can edit a document and who can just view it while inviting them. Users can add comments to the documents and anyone with whom you are sharing the document can view the comments. User interface looks good with Ajax elements and is fast enough to work with. The major disadvantage of the service over others is the lack of editing for word and spreadsheets, Microsoft wants you to have MS Office desktop version first to use the Office Live Workspace. 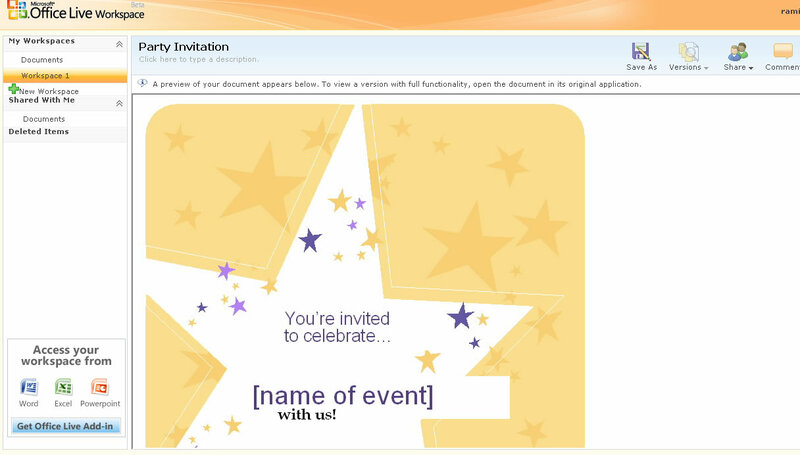 MS Office is a cash cow for Microsoft and it doesn’t want to give that freely in online version. Looks good, but without online editing, lets see how far it reaches. 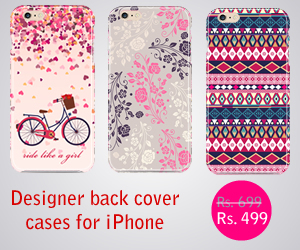 With out online editing its difficult to compete with Zoho.